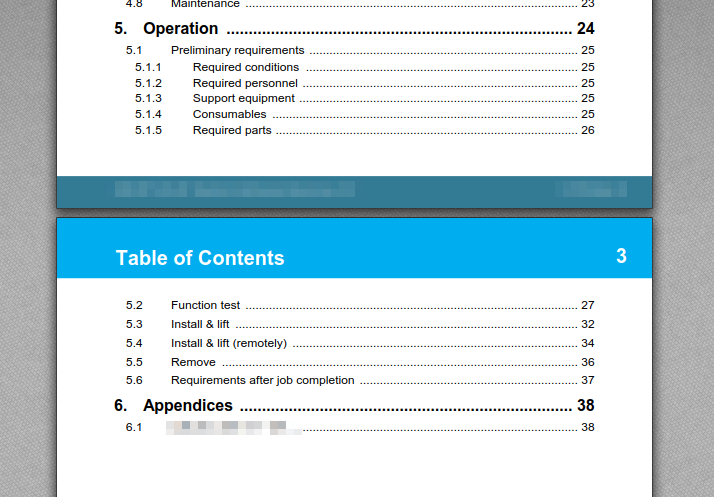 In a pdf, can I group the sections together in the TOC? I would like Section 5. Operation to start on the next page. Sorry, there are no page break options for individual TOC entries within the TOC. The next page will always begin after the current page is full.